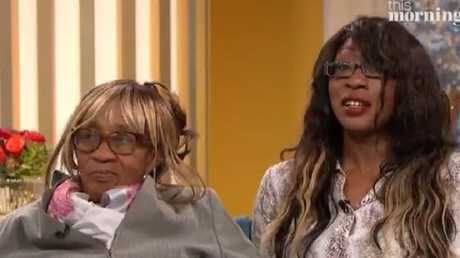 Delise Gayle with her daughter on British TV this week. 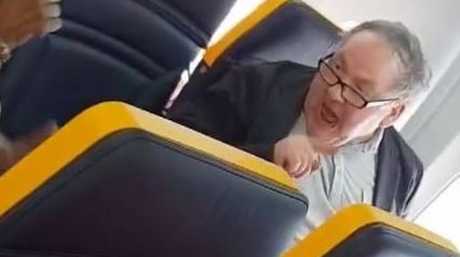 AN AIRLINE passenger who caused outrage when he ranted at a woman and called her an "ugly black b***h" has claimed he's not a racist and has said sorry for his behaviour. But the victim of his verbal abuse has rejected the apology. 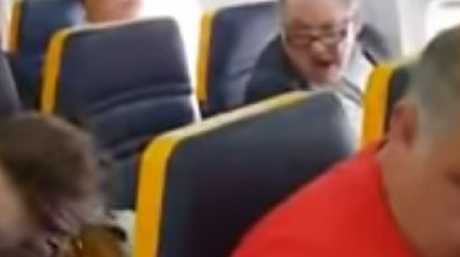 The foul mouthed tirade, on board a Ryanair flight from the Spanish city of Barcelona to London, was filmed and has now been watched almost two million times online. David Mesher was in a window seat when he began insulting fellow passenger Delise Gayle. Delise, 77, was travelling on the flight with her daughter. In the video, filmed by fellow passenger David Lawrence, Mesher berates Delise who is sitting one seat away from him. "I tell you what, I hope someone sits there because I don't want to sit next to your ugly face, your ugly f****** face," he can be heard saying on the recording. "Don't talk to me in a f*****g foreign language you stupid ugly cow". 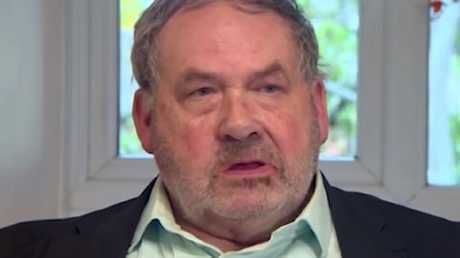 David Mesher has said he is not a racist despite using a racial slur. As the exchange heats up, a concerned passenger puts his hands between the two, pleading with the man to stop. "I will carry on as far as I can!" Mesher screams. "With this ugly, black b***h."
Mr Lawrence told the BBC that when the woman's daughter Carol arrived from the back of the plane she said to Mesher, "don't speak to my mother like that." On Friday, Mesher appeared on UK breakfast show Good Morning Britain. He told the hosts he asked Delise to move from her seat but "she didn't seem to want to get up". "I probably lost my temper a bit and ordered her to get up," he said. Mesher said he regretted his behaviour but denied he was a racist. "I'm not a racist person by any means and it's just a fit of temper at the time, I think," he said. "I apologise for all the distress you've had there and since." The incident occurred on a flight from Spain to the UK. 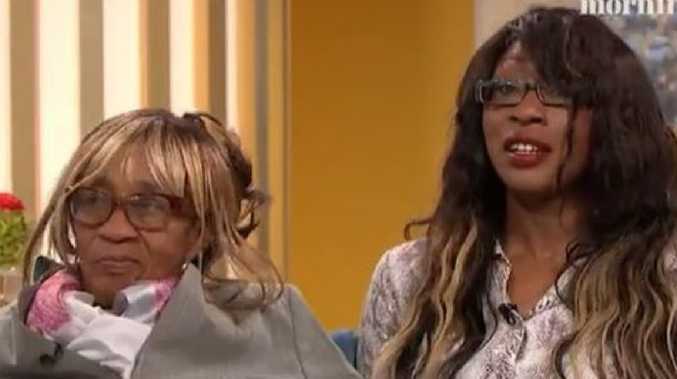 However the Gayle family told ITV show This Morning they were still angry. Asked if she accepted Mesher's apology, Delise said, "I don't think so. "You must forget and forgive but it's going to take a long time for me to get over what he has done to me." "He says he wasn't racist. He wouldn't be saying words like that if he wasn't racist," Carol added. The furore has dragged in the airline whose staff were accused of not dealing seriously enough with the incident. Many people had subsequently said Mesher should have been moved or even ejected from the plane - but it was Delise that changed seats. The Gayles said they did not accept the passenger’s apology. In a statement, Ryanair said it's staff did not realise the seriousness of the abuse until after the plane had landed at London's Stansted airport. Cabin crew were aware of an argument between two passengers during boarding "but were not aware of, as they were not present when, racists comments were made by the male passenger towards the female passenger. "As far as cabin crew were concerned, that was the end of the matter, and since there was no threat to aircraft safety the issue of offloading one passenger did not arise," Ryanair said. The firm said it then reported the video to Essex police on Sunday 21 October. The airline said Delise chose to move to a seat next to her daughter in another part of the aircraft. "These prompt actions disprove the false claims that Ryanair did not respond 'quickly' or 'appropriately' to this video," it said. As the fracas happened in Barcelona, UK police have sent the video to the Spanish authorities. Ryanair has said it has written to the Gayles to apologise. David Mesher during his TV interview where he apologised.